Corporate Finance and the Securities Laws has been winning over practitioners with its clear "how to do it" approach ever since its publication in 1990. This acclaimed guide is now completely updated in this Fifth Edition to help you meet the challenges of raising capital in today's increasingly regulated marketplace. 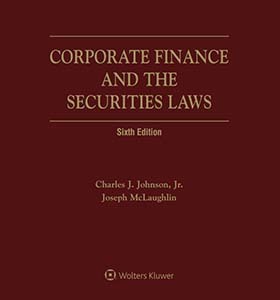 Written in plain English by two top experts in the field - each with literally hundreds of successful deals under his belt, Corporate Finance and the Securities Laws is the "go to" resource which explains the mechanics of corporate finance together with the statutes that govern each type of deal.